transfer to/from Cuiabà airport, all transfers mentioned, stay in pousada by full board, daily excursions with a bilingual guide. transfer to/from airport, all transfers mentioned, stay in pousada/hotel by half board, daily excursions with a bilingual guide. If the pousada shown in the routes is unavailable, you could stay in another similar pousada. Routes mat be subject to changes due to circumstances beyond ones’ control or any wishes or needs of the tourist. PRICES starting at 400,00 USD! There is no malaria, yellow fever and zika in the area. 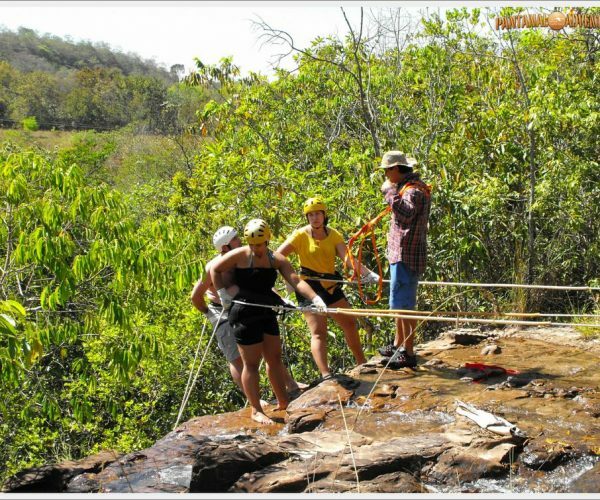 You are also offered the opportunity to do alternative activities, such as trips by ultralight plane to fly over the entire North Pantanal, hotel-boat tour to the heart of the Pantanal as far as Mato Grosso do Sul (it takes 12 days there and back) and any sport and adventure activities (rafting, paragliding, diving, etc.) in the area. You are advised to bring the following clothes and items: – Insect repellent, – a sunscreen, – light-colored clothes, – trousers and light long-sleeved T-shirts, – a good pair of shoes – a backpack, –a tech jacket, – a binoculars, – a camera, – a hat. Compulsory vaccinations are not required to leave for Pantanal; possible vaccinations could be the usual ones for all tropical countries, such as those against diphtheria, tetanus and hepatitis, but nothing specific.